This is a combination of H-a and OIII (mapped to teal color) for the nebula and RGB for the stars. 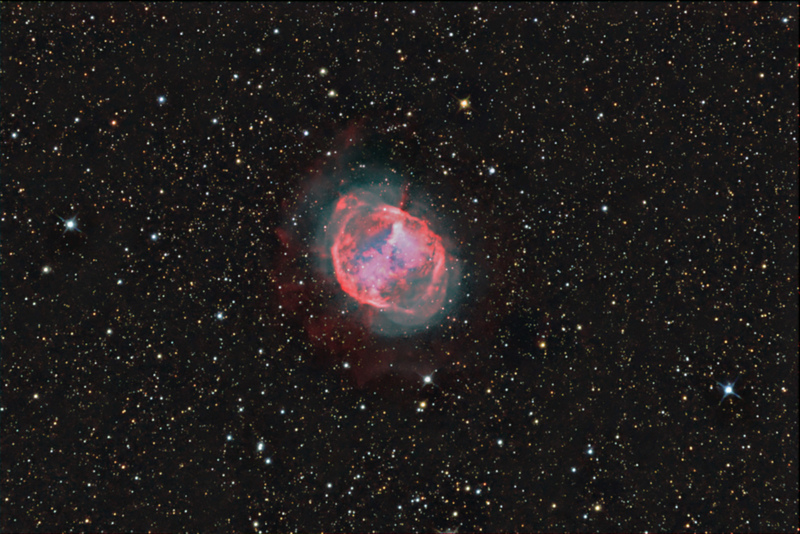 The narrowband images bring out an unusual feature of the Dumbbell Nebula shown in the mouseover below. The image you see below is just the OIII image. 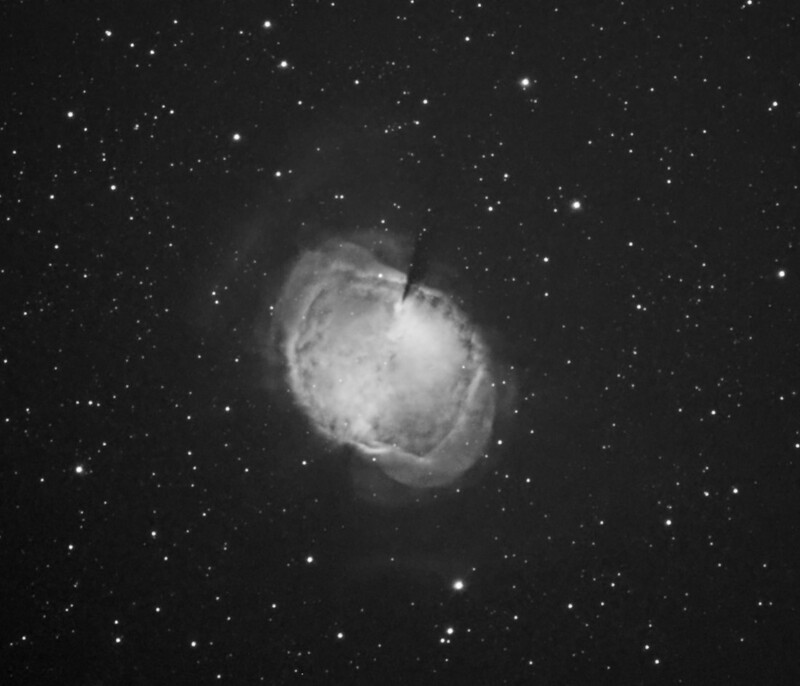 You can see a faint outer halo, as is common in planetary nebula, but you also see what appears to be a "dagger" coming down from the 1 o’clock position into the nebula. You can also see a less distinct one coming up from the 7 o’clock position. These are regions either (1) devoid of OIII due either to the expansion of the outer shell of the super red gian proginator star, (2) devoid of OIII due to molecular concentrations that are too high that quench the emission, or (3) there is dust occluding this region. When you place the mouse over the image to see the H-a/OIII/RGB composite, you will see that hydrogen emission fills in these "dagger" regions, so it does not support (3). Many planetary nebula are bipolar. It may be what we are seeing here is the axis of the bipolar clouds which are mostly coming out at us in our line of site. I can find no explanation in the astronomical literature regarding this structrure in M27. The OIII image is shown here to highlight the "gap".